Michelle’s Reiki+Tarot incorporates healing reiki energy with Akashic Records & tarot cards for a well rounded message from the cosmos to further your balance. Using her unique combination of divination and lifestyle coaching, Michelle’s tarot sessions offer a higher perspective for both the big and small questions in life. 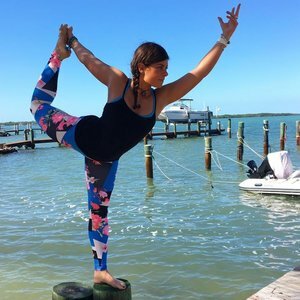 As a certified instructor, Michelle teaches weekly yoga classes in vinyasa, hot power fusion, and yin/restorative styles privately & at CorePower Yoga studios in Chicago. Subscribe to the New Moon Newsletter & receive inspirational tarot forecasts delivered right to your inbox + early info on sales, classes, & events in this magical monthly love letter from me to you.